(12/14/13) - You're not really doing a good job as an artist manager, if other management teams aren't interested in your artist. After over a year and a half, of laying down the foundation for the iLoveMakonnen project, producer Mike Will Made It reached out to Makonnen and they started working together. At the time, Mike didn't know that I was managing Makonnen, and was interested in his partner, Jeremy, who manages Rae Sremmurd, in managing Makonnen. Jeremy has done a great job with Rae Sremmurd, but at this point, I already had Makonnen signed to an agreement. Mike understood the situation and embraced me as part of their team. Here's how the conversation went down when Makonnen revealed to Mike, that he was already signed to Prestley Snipes. (12/18/13) - After I secured a co-publishing deal for iLoveMakonnen with Mike Will Made It’s EarDrummers Entertainment, Mike Will called Makonnen to give him some financial and music business advice. 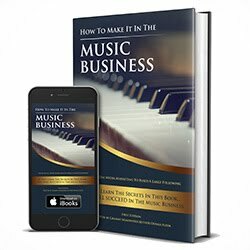 Mike Will Made It gives some very crucial and helpful tips that everyone who aspires to succeed in the music business should hear. Mike Will talks about using music advances to reinvest in your music career, instead of spending money frivolously. Mike Will also talks about focusing on being prolific instead of keeping your mind on money. Check out this candid unseen footage of me driving through Atlanta while recording this inspiring and informative conversation.